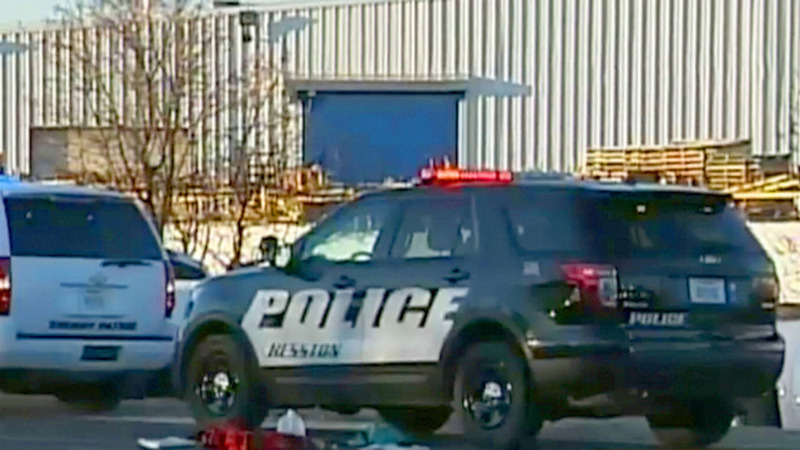 HESSTON, Kan. -- Four people were killed, including the suspected gunman, and 14 others wounded in a shooting Thursday at a manufacturing plant near Wichita, CBS affiliate KWCH reported. Harvey County Sheriff T. Walton said at a news conference Thursday evening that there are "a number of crime scenes involved," including the Excel Industries plant in Hesston where dispatchers earlier said a shooting took place. Walton said there were two other shootings nearby and a shooting in the plant parking lot before the gunman opened fire inside the Excel building. A law enforcement source identified the suspected shooter as Cedric Ford, CBS News senior investigative producer Pat Milton reported. The source said Ford was an employee of Excel Industries and worked as a painter there. It is not clear whether or not he was still employed at Excel at the time of the shooting. The law enforcement source told Milton there was no indications that the shooting was terrorism related but a motive has not been established. "There was some things that triggered this particular individual," Walton said, declining to discuss what those things were. Court records obtained by CBS News confirm Ford had run-ins with the law. He pleaded guilty to disorderly conduct in 2008 in Kansas and faced multiple burglary charges in Florida in 1997 and 2000. According to the Excel Industries website, they manufacture turf care products such as lawn mowers. Walton said the suspect was shot and killed by law enforcement and the scene at Excel Industries had been secured. He said Ford was armed with a "long gun, something like an assault rifle," and a pistol. Walton said the first officer on the scene shot and killed the shooter. "There was particular law enforcement here in Hesston that responded right away. And even though he took fire, he went inside of that place and saved multiple, multiple lives," Walton said. "A hero, as far as I'm concerned." All of the fatalities occurred inside the Excel building, Walton said. A law enforcement source said Ford also fired shots at cars while driving to the plant. At one point, he carjacked a vehicle and shot and wounded the driver of that vehicle. Walton said the FBI, ATF and the Kansas Bureau of Investigation had been called in to assist. "This is just a horrible incident.... There's going to be a lot of sad people before this is all over," Walton said. Hesston College, a few blocks away from Excel Industries, was placed on lockdown as a precaution, college director of facilities Jim Mason said. The lockdown was later lifted. The Kansas shooting comes less than a week after authorities say a man opened fire at several locations in Kalamazoo, Michigan, leaving six people dead and two severely wounded.